The following short courses will be offered on June 24, 2018. Since they are scheduled for the same time, participants may only sign up for one course. A short course can be added at the time of registration or, subject to availability, can added at a later date by emailing isba2018@maths.ed.ac.uk. Availability of new data sources and advances in data collection techniques fuel a growing intersection between Bayesian statistical methods and fundamental questions in empirical economics. The rise in frequency of small-scale experiments to understand, among other things, household bargaining individuals’ perceptions of risk, motivates economists to look towards Bayesian methods for meta-analysis. High-dimensional observational data leads to novel Bayesian takes on stalwart econometrics techniques, such as instrumental variable models. New techniques for mapping risk sharing networks rely on Bayesian methods for social network analysis in the presence of missing data. These examples, and many others, highlight the substantial role that Bayesians play in contributing to methods development in economics and econometrics. In the recent years, infinite mixtures based in particular on the Dirichlet process prior have been used increasingly in applied Bayesian econometric to capture departure from normality in econometric model. However, going to infinity makes the mathematics much more complicated, in particular, for applied econometricians. This talk applies the concept of sparse finite mixtures, which is based on a shrinkage prior on the weights that removes all redundant components automatically, instead of the Dirichlet process prior. Recent publications by Malsiner-Walli, Frühwirth-Schnatter and Grün (2016, 2017) demonstrated the usefulness of this approach for model-based clustering. In the present talk it is suggested to model the error distributions in an econometric model by a sparse finite mixture. The usefulness of this idea is investigated in detail for a project from health economics, where Bayesian IV estimation is applied to investigate the influence of family size on labor market and health outcomes. We present a review of some recent developments in Bayesian approaches to estimating heterogenous treatment effects in experiments or in observational data when all the confounders are available. There is great interest in adapting flexible general-purpose Bayesian nonparametric models for this task, but effectively doing so poses a number of challenges: Most nonparametric 2 models provide no direct mechanism for shrinking heterogenous treatment effects toward homogeneity without unduly shrinking the contribution of other covariates (including confounders). Further, seemingly sensible prior distributions can actually induce significant bias — of unknown sign and magnitude — in treatment effect estimates, a phenomenon known as “regularization induced confounding” (Hahn et al, 2017). And once we have “turned the crank”, we are left with a complicated posterior distribution that does not directly deliver the inferences relevant to scientists and policymakers. We describe how we have addressed all three issues in the context of Bayesian tree models, and discuss the implications for other approaches to estimating heterogeneous treatment effects. Bayesian hierarchical models have often been applied to multi-trial and multi-study settings in statistics, but have only recently been adopted by economists. I review the conceptual framework of hierarchical models and the advantages of Bayesian inference for aggregating evidence across potentially heterogeneous settings, particularly in meta-analysis. I discuss new advances in applied Bayesian modeling, including hierarchical aggregation of distributional treatment effects captured by sets of quantile treatment effects. Applications to settings such as randomized experiments of expanding access to microcredit in poor communities, and vitamin A supplementation programs in developing programs, illustrate the value of the Bayesian hierarchical approach relative to classical meta-analytic techniques. Approximate Bayesian Computation (ABC) performs inference when evaluating the likelihood function is infeasible but sampling from the model is possible. First developed in population genetics, ABC is now a well established technique in this and other diverse disciplines including infectious disease epidemiology, astrophysics and econometrics. The area is further of considerable interest to theoreticians as it touches upon foundational issues in Bayesian inference. The ABC in Edinburgh workshop will feature invited and contributed talks, and will have a poster session to further exchange and discuss recent work on the theoretical underpinnings, computational advances, and applications of approximate Bayesian computation. 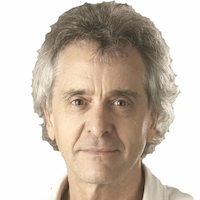 Professor Gael Martin (Monash University) has worked on the asymptotic foundations of ABC and its application to econometrics. Professor Jessica Cisewski (Yale) and Dr Emille Ishida (Universite Clermont-Auvergne) have worked on applications of ABC in Astrophysics. Alexander Buchholz is a PhD student at University Paris Saclay / ENSAE and works on Quasi Monte Carlo methods for ABC. Recognizing the problems that reproducible research helps address. Identifying pain points in getting your analysis to be reproducible. The role of documentation, sharing, version control, automation, and organization in making your research more reproducible. Introducing tools to solve these problems, specifically R, RStudio, RMarkdown, git, GitHub, and make. Computational reproducibility specific to Bayesian methodologies. Workshop attendees will work through several exercises and get first-hand experience with using relevant tool-chains and techniques, including R/RStudio, literate programming with R Markdown, automation with make, and collaboration and version control with git/GitHub. This workshop covers basic principles and methods of Bayesian dynamic modeling in time series analysis and forecasting, with methodological details of central model classes explored in a range of examples, with a strong emphasis on applications to neuroscience and environmental science. A key focus is on dynamic linear models – structure, inference, forecasting — including stationary and non-stationary time series and volatility modelling. Following detailed coverage and examples of univariate time series analysis, the course extends to linked systems of univariate series defining specific classes of multivariate models, and goes further in multivariate contexts with dynamic factor models. Furthermore, the course continues to dynamic spatial factor models. Aspects of simulation-based computation—forward simulation for forecasting, forward backward simulation for analysis of state-space models, and MCMC methods for models with parameters and latent states going beyond the linear/Gaussian framework—are included. The course draws on a range of examples such as analysis of troposphere temperature data, multichannel brain signal analysis, and analysis of brain imaging data. 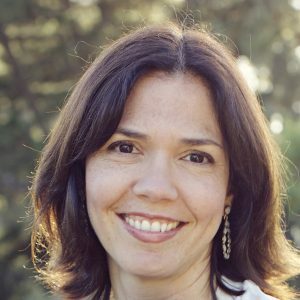 Raquel Prado is Professor of Statistics in the Department of Applied Mathematics and Statistics, at the University of California Santa Cruz. Her research lies in the general area of Bayesian modeling and analysis of temporal and large-dimensional data with emphasis on neuroimaging and neuroscience applications. She is and has been principal investigator or co-investigator in interdisciplinary projects funded by the National Science Foundation (NSF) and the National Institutes of Health (NIH). Raquel has delivered invited talks and short courses in several international conferences and academic institutions around the world. She has been the primary supervisor of more than a dozen graduate students and is currently supervising 4 PhD students and 1 Master student at UCSC. Raquel is a Fellow of the American Statistical Association and serves as a member of the NIH Study Section on Biostatistical Methods and Research Design (BMRD). She is currently President-Elect of the International Society for Bayesian Analysis (ISBA). 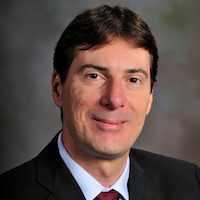 Marco Ferreira is Associate Professor and the Director of Graduate Programs of the Department of Statistics at Virginia Tech. His current research areas include Bayesian methodology and computation, dynamic models for time series and spatiotemporal processes, and financial and environmental applications. Marco is currently an Associate Editor for the journal Bayesian Analysis and has served in the Savage Award Committee. He is a coauthor of two books on Bayesian methodology, modeling, and computation: on multiscale modeling (with Herbie Lee, in 2007); and on dynamic modeling, time series and forecasting (with Raquel Prado and Mike West, in 2018). Marco has published papers in top methodological statistics journals such as JASA, JRSS-B, Biometrika, and Journal of Time Series Analysis, as well as applied journals such as Annals of Applied Statistics, Technometrics, and Environmental and Ecological Statistics. In addition to supervising many undergraduates and Master’s students, Marco has advised 10 PhD students and 2 postdoctoral associates. Mike West holds a Duke University distinguished chair as the Arts & Sciences Professor of Statistics & Decision Sciences in the Department of Statistical Science, where he led the development of statistics from 1990-2002. A past president of the International Society for Bayesian Analysis (ISBA), Mike has served the international statistics profession in founding roles for ISBA and other in other professional organisations and institutions. Mike’s research and teaching activities are in Bayesian analysis in ranges of interlinked areas: theory and methods of dynamic models in time series analysis, multivariate analysis, latent structure, high-dimensional inference and computation, quantitative and computational decision analysis, stochastic computational methods, and statistical computing, among other topics. Interdisciplinary R&D has ranged across applications in signal processing, finance, econometrics, climatology, systems biology, genomics and neuroscience, among other areas. Main current interests are in macroeconomic forecasting and policy decisions, financial econometric forecasting and decisions, dynamic network studies in IT/commerce, and large-scale forecasting and decision problems in business and industry. Mike has received a number of international awards for research and professional service, and multiple distinguished speaking awards. He has been a statistical consultant for various companies, banks, government agencies and academic centers, co-founder of a biotech company, and past or current advisor or board member for several financial and IT companies. Mike teaches in academia and through short-courses, works with and advises many undergraduates and Master’s students, and has mentored over 60 primary PhD students and postdoctoral associates, most of whom are now in academic, industrial or governmental positions involving advanced statistical research.